Blending genres is always a tricky proposition because the one genre’s mechanics can easily mess with the other’s. 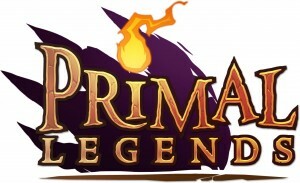 So, when I heard that the upcoming Primal Legends is hoping to successfully blend Candy Crush-like match-3 mechanics with Hearthstone-like deck building and turn-based strategy combat elements, I was at the same intrigued and slightly worried. Most match-3 games have become so popular partly because of their simplicity while turn-based strategy is not a genre that one often associates with simplicity. Still, I’m all for experimentation, so I hope Primal Legends will indeed shine. According to the developers, Primal Legends will be the first truly competitive match-3 game on mobile and will be “anything but casual." You’ll recruit various heroes, each with his or her own abilities, build a strong army and adapt it accordingly, and then gradually level up your heroes to improve their abilities and unlock various strategies and synergies. Some of the heroes deal direct damage, but others can heal, protect, or buff your soldiers among other abilities. As you can see from the trailer, the battles play out using match-3 mechanics, but the hero mechanics should make the game feel more strategic than your average match-3. The game also offers real-time PvP modes, the ability to cooperate with friends in order to improve your champion collection, and more. Overall, it sounds like an interesting experiment, and it remains to be seen whether the casual and the strategic can live in perfect harmony. Primal Legends should be coming soon, and it will – of course – be free to play.